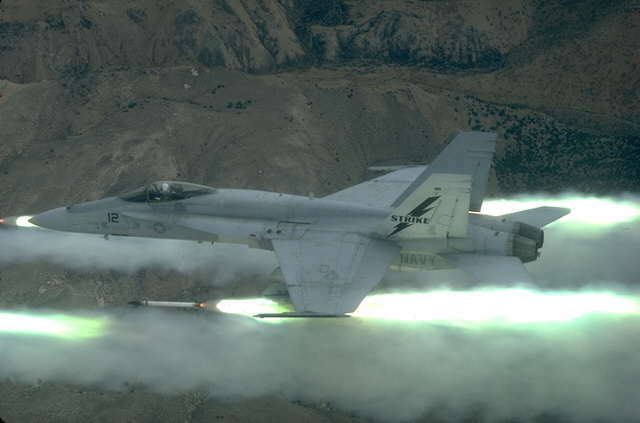 This magnificent fighting jet from McDonnell Doglas has established a place as the backbone of the U.S. Navy and Marine avaition; sailors and marines wanted the F/A-18 Hornet so badly they relinquished other aircraft to get it. Their faith is justified: the F/A-18 performed superbly in raids on Libya and in Operation Deasert Strom. To keep the F/A-18 on top in the crucible of air combat, they are improving the Hornet constantly. Better flight instruments and avionics have been added to new aircraft along with the capability to use far-reaching missiles including the air-to-air AMRAAM and the air-to-ground HARM. 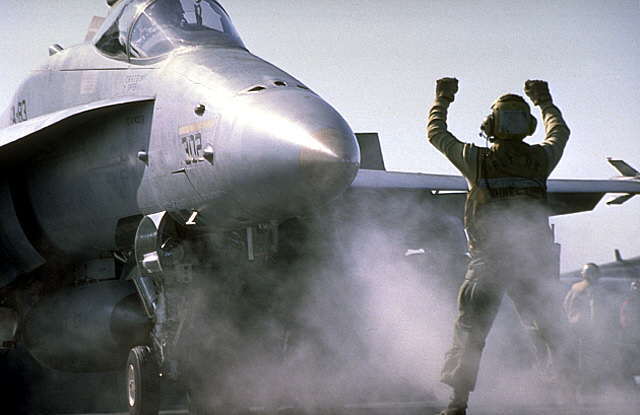 None of these changes detract from the maneuverability of the Hornet, an exceedingly agile adversary. The future F/A-18E (singel-seat) and the F/A-18F (two-seat) will be 33 1/2 feet longer and carry 3,000 pounds more fuel. Navy carrier wings will soon boast as many as four Hornet squadrons, making them more formidable then ever.